Dundee is working on reserve growth to underpin expansion of the Chelopech mine and plant to 2.5Mtpa, something that will drive its costs down further. Its 2016 first-half output of 85,000oz of gold and about 20Mlbs of copper was achieved at all-in sustaining costs of only $359/oz gold. Dundee Precious Metals is not going to pick up another Chelopech for US$1, but CEO Rick Howes says technology and process application knowledge gained in the transformation of the Bulgaria mine could give the company a unique advantage when weighing up the acquisition of similar assets. TSX-listed Dundee (DPM) bought the former Soviet-run gold-copper mine for next to nothing in 2003 and has since quadrupled its underground production rate. 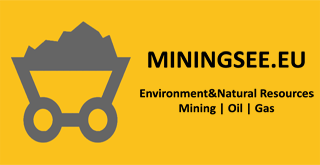 A more recent doubling of production coincided with the introduction of technology seen at few other underground mines – or any mine for that matter – around the world. With its low cost structure the operation is now a key growth platform for Dundee at a time of firming gold prices. The company has paid down its long-term debt to about $70 million after a recent equity raising and is only now set to reap significant benefits from its $400 million investment over five years in the Tsumeb smelter in Namibia. Dundee also has construction getting started on the $178 million, high-grade Krumovgrad openpit gold project in Bulgaria, which could have a payback of less than two years at current metal prices, and is building reserves at Chelopech with a view to expanding it to a 2.5 million tonnes per annum operation. So Howes said at this week’s Denver Gold Forum that Dundee had a strong organic growth pipeline, with fully-financed projects, “without taking risk on acquisitions”. But he told Mining Journal at the conference the company was definitely looking at opportunities to apply its “competitive advantage” to realise value from cheaper, perhaps lower-quality assets where others couldn’t see the same upside. “We don’t necessarily have to compete for all these high-grade, I would call, no-brainer, projects. But where we can apply those [acquired] smarts is where we can take lower grade, or maybe less attractive assets, and create big value out of them because we can operate them more efficiently,” Howes said. Howes spoke last year in Canada – in the depths of the industry recession – to new industry leaders about investor dissatisfaction with mining-sector wealth destruction and the industry’s apparent inability to fix broken mine and asset management models. He believes mining companies must adopt more of the readily available technologies proven in other industries, to fundamentally change the way mines are operated and materially improve investment returns. Howes says all this can be done with minimal risk. Barrick Gold may be prepared to kick off its “digital reinvention” with a $100 million investment, but Dundee paid a fraction of that to transform Chelopech. “We didn’t spend anywhere near that,” Howes said. “We spent about $3 million on the [Chelopech] project but we levered it with about six strategic partners [who] put in in-kind about $7-8 million. We did the project in two years and returns are interesting. We were going through a phase where we were going from 1Mtpa to 2Mtpa production and there were other factors in that doubling of production, but when we boil it all down we didn’t add any new mining equipment to the fleet to double production. All we did was sweat the assets harder, by running the mine more efficiently. “I would have said we got the return on [the investment in] less than three months. And we operate today one of the lowest-cost underground gold mines in the world on a per-tonne basis. “And it’s quite a sophisticated system in terms of real-time production management. We have the ability to visualise and see everything that’s going on in real-time in the mine. “Chelopech was probably one of the first mines in the world to run what’s called a real-time operations facility, where everything in the mine is digitally connected. We have an underground wireless communications system that connects up all our people and equipment, and we can track the progress of the mine and execute our plans in real time. “The piece that we’re working on now, that all companies will work on, is how you use the data and the support tools to make better decisions. The real-time piece is really the first step. Next you move into big data analytics and much more sophisticated decision-making tool set … that is given to your people, so you don’t all have to be gurus to make good decisions, or need experienced people, and so on. Dundee is forecasting its cash cost per tonne of ore mined and processed at $32-36/t for 2016. “We continue to drive down our cash cost of ore per tonne,” Howes said. “You won’t find too many mines, even openpit mines, that run at all-in cash costs per tonne in that range.